The Los Angeles (LA) River – flowing through the nation’s second largest urban area – is a 51-mile-long system that empties into the Pacific Ocean at Long Beach. Before 1938, the river occupied a naturally meandering valley lush with wildlife and vegetation. As more people occupied the valley, large floods and natural channel migration had detrimental effects on the public. After a devastating flood in 1938, the U.S. Army Corps of Engineers channelized nearly the entire river over the course of several decades, creating a flood control structure that received water from point discharges, storm sewers and urban run-off. For decades, Angelenos forgot that the series of concrete channels was actually a river. Spurred by environmental activists, both the County and the City of LA developed river revitalization master plans in 1996 and 2007, respectively. 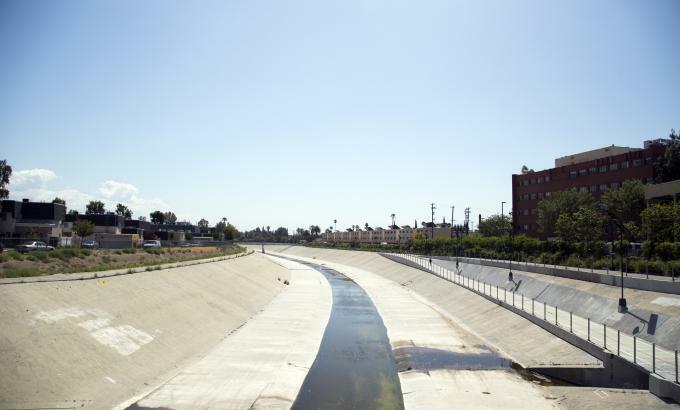 Revitalization of the river became a joint mission of the city, county, U.S. Army Corps of Engineers and private stakeholders, paving the way for changes in LA River use. In 2010, EPA declared the LA River a “traditional navigable water” strengthening the protections it receives under the Clean Water Act. The following year, the Sepulveda Basin section of the LA River was opened to kayakers for on-the-water summer recreation. Similarly, the Elysian Valley section was opened for summer recreation in 2013. Both recreation areas are managed by the Mountains Recreation and Conservation Authority (MRCA) in cooperation with the city, county, and U.S. Army Corps of Engineers. In June 2016, the LA City Council approved a plan to restore an 11-mile stretch of the river from Griffith Park to downtown LA. With new water uses in these sections of the LA River and more revitalization on the horizon, water quality monitoring for public health and community engagement becomes chiefly important. Heal the Bay – an organization based in Santa Monica, California – has a strong history promoting environmental awareness and advocating for public health through their Beach Report Card program. Over the years they have found that when people are informed about water quality issues, they are more motivated to take care of their environment. In cooperation with students from Los Angeles Trade Technical College (LATTC) and funded by EPA’s Urban Waters small grant program, Heal the Bay expanded this initiative to create a River Report Card for the LA River and other freshwater areas where people recreate and swim. 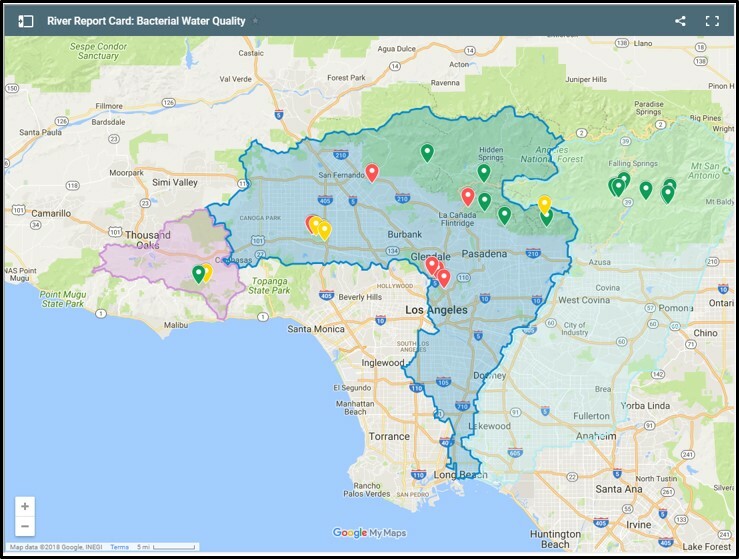 The River Report Card is an online interactive map that displays water quality information at multiple locations in the LA River watershed (as well as in surrounding watersheds). Heal the Bay began testing bacteria levels in the LA River during the summer recreation season in 2015. In 2017, with funding from the EPA, Heal the Bay engaged 5 students from LATTC to create a water quality monitoring team. The team collected water quality samples in sections along the LA River, focusing on areas that are used for recreation. With data from Heal the Bay and other city and county monitoring programs, the River Report Card was released in July 2017. The River Report Card will continue to provide updated water quality information in the summer of 2018 and beyond. In addition to monitoring water quality, the EPA-funded project also provides outreach and education to spread the word about water quality and how to improve water quality through environmental stewardship. The five LATTC students wrote blog posts about their experiences in the program and also presented their project to students from Thousand Oaks High School and summer STEM students at LATTC. 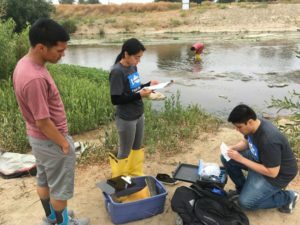 Their experience with Heal the Bay helped the community college students learn not only about water quality monitoring, but also about effectively communicating environmental issues in their community. Heal the Bay supports restoration and public recreation in the LA River. As recreational uses of the LA River grow, the organization wants to empower people to make more informed decisions about how to safely engage with the river. Involving students from LATTC in the development of the River Report Card is a great educational and community-driven approach. The students gain practical working experience as well as learn effective methods of communication and public outreach. In this way, both Heal the Bay and the community contribute to increasing the overall health of their environment. The story of the LA River is an interesting one: rich in history and exciting in its prospects for revitalization. With transition to recreational uses, many organizations are involved. Learn more about other UWLN members that are working for restoration, recreation, and increased access in the LA River. Heal the Bay’s River Report Card aims to educate and empower water users to be aware of water quality, as well as to be informed when water quality issues arise. In September 2017 – just months after the River Report Card was released – Heal the Bay and other organizations became aware that the levels of bacteria in the Sepulveda Basin recreation zone were 100 times the federal standard. While there were measures in place allowing the MRCA to close recreation areas in the event of a flood, there was no protocol in place to notify the public or close the river for water quality breaches. Even though Heal the Bay noted the high levels of bacteria in their report card and issued an advisory, a scheduled kayaking event went on as planned. In response, Dr. Katherine Pease from Heal the Bay advocated for a protocol to be put into place. In October 2017, LA Sanitation developed a preliminary protocol for notification and river closures during high bacterial level events. As of March 2018, the protocol has been approved by the Arts, Parks and River LA City Council Committee and if approved by the full City Council, it will be in effect for the 2018 recreation season. Heal the Bay is an environmental nonprofit dedicated to making the coastal waters and watersheds of Greater Los Angeles safe, healthy and clean. To fulfill our mission, we use science, education, community action, and advocacy.